Widely regarded as one of the nicest hotels in all of Tokyo, the Palace Hotel is a luxurious and romantic property that towers over the Imperial Palace Gardens and Chiyoda Park and is surrounded by a moat. 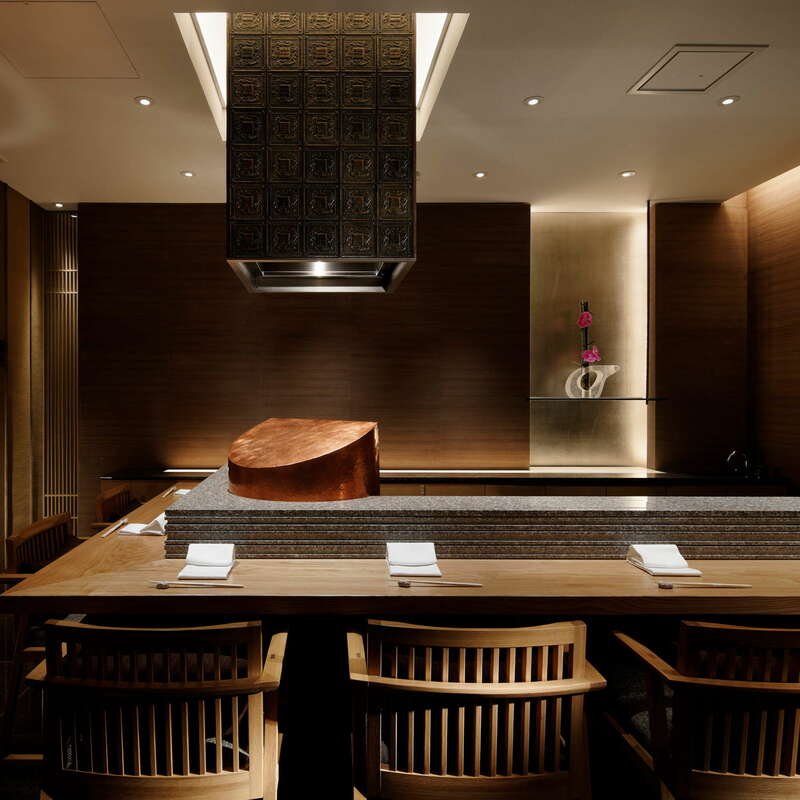 Inside, the elegant hotel caters to every whim of its guests with a high regard for omotenashi (Japanese hospitality), and a focus on the finer things in life. 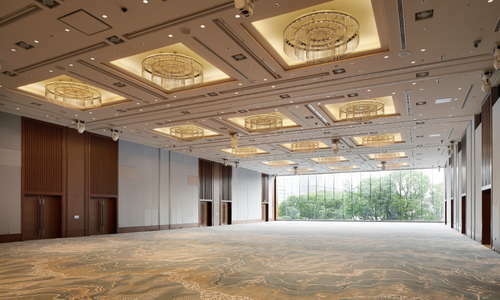 Five-star hotel fans will love everything here and pay a lot for the luxuries. If you bring you family you can enroll your kids in origami classes. They aren't free, but they are fun. 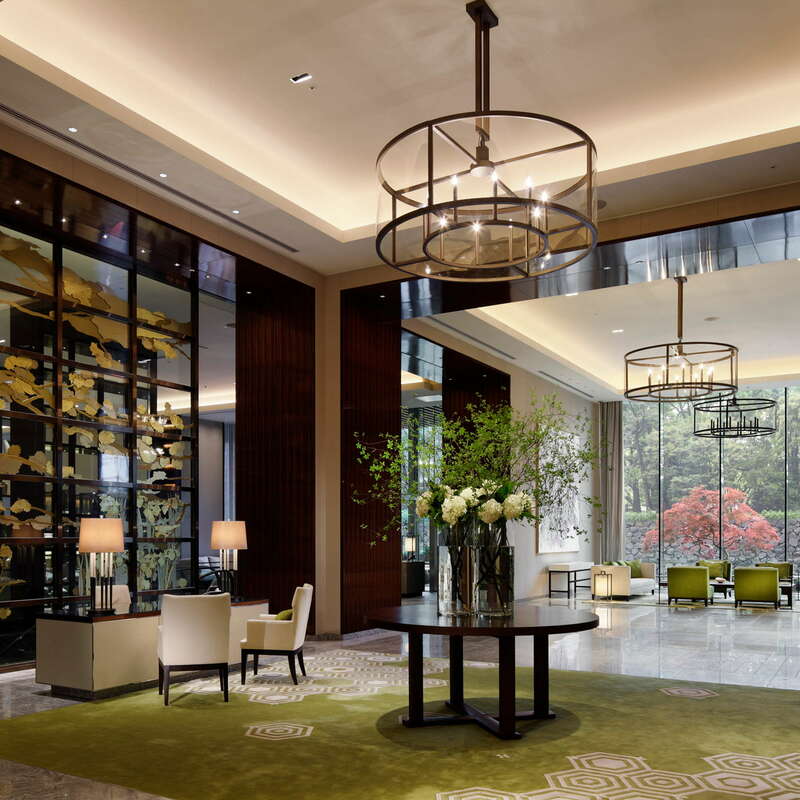 Accommodations are bathed in earthy tones to match the hotel’s location on the park. Almost half of the rooms have balconies that make for romantic sightseeing at sunset. 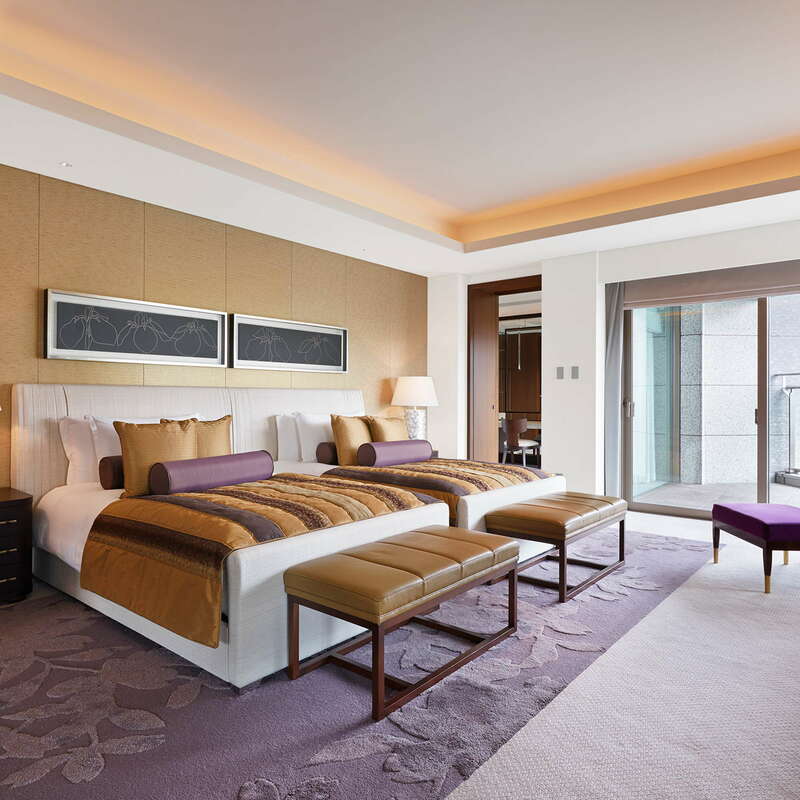 All rooms come with complimentary water, tea, and Nespresso machines for coffee. 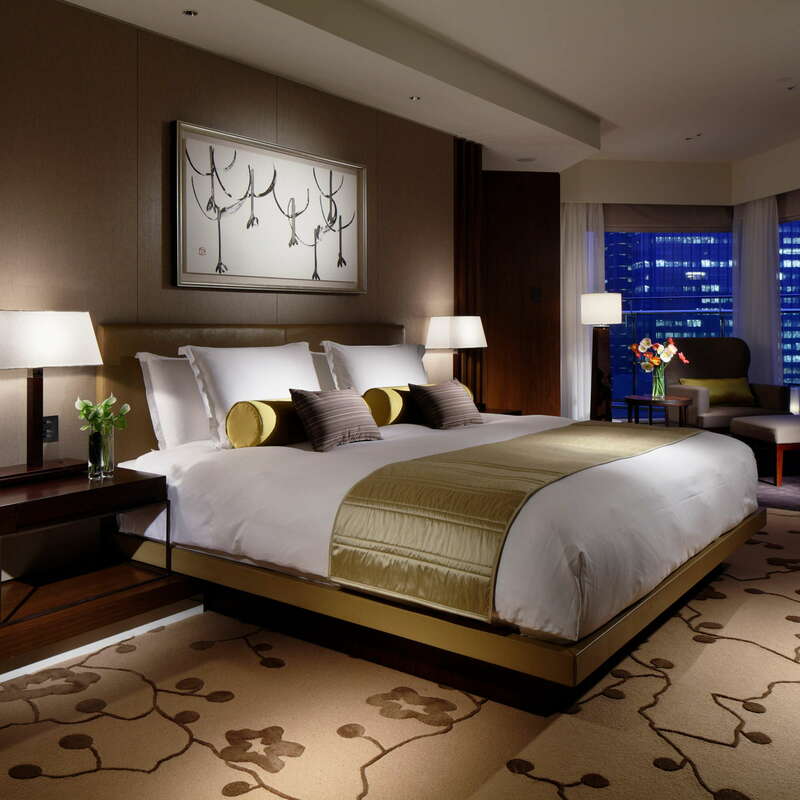 Turndown service is nightly, and guests can also get their shoes shined for free. After turndown service you might notice an eye mask left for you on the bed. 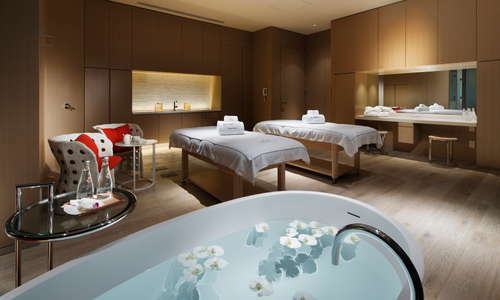 Indulge in this luxury as the mask heats up and helps you wind down for sleep. Spacious bathrooms are of the peek-a-boo variety, but you can shade the glass in case you’re shy. 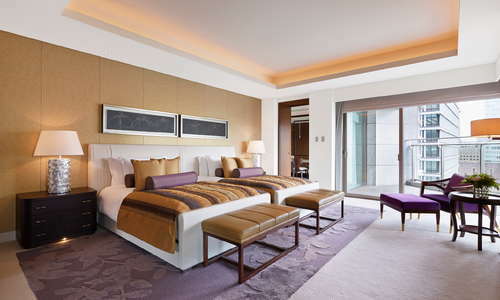 Anne Semonin products are typical but if you stay in a suite you’ll get Bamford instead. You’ll find plenty of free toiletries as well as TVs in the mirrors and Toto automated toilets. 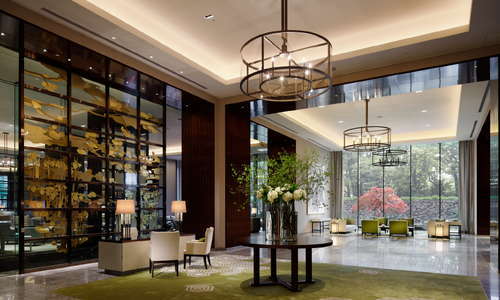 The classic lobby is seeped in elegance and features a lounge with a top-rated afternoon tea. 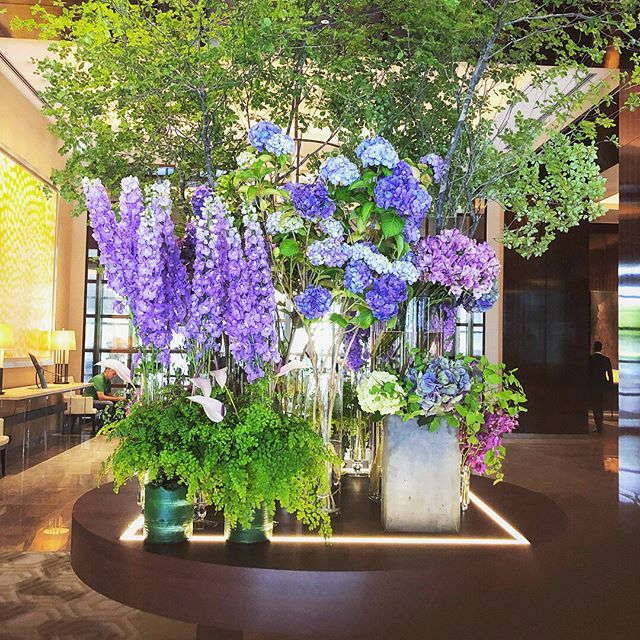 Fine art is displayed throughout the hotel and you’ll find some of the more than 1,000 pieces in the lobby area. Just downstairs from the lobby is a shopping arcade with a variety of boutiques and restaurants. The hotel has a signature scent from oils that wafts through the lobby. If you like it, you can actually purchase the concoction from the hotel. 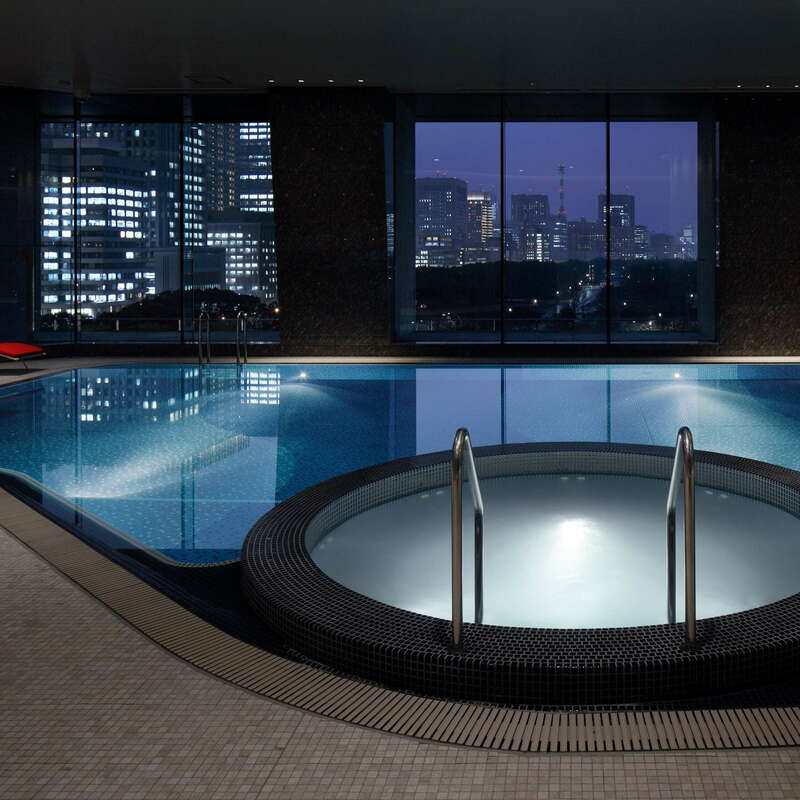 The hotel’s indoor lap pool is open from 6:30 a.m. to 10 p.m. and has floor-to-ceiling windows looking out over the city. There’s also an adjacent hot tub for soaking sore muscles. 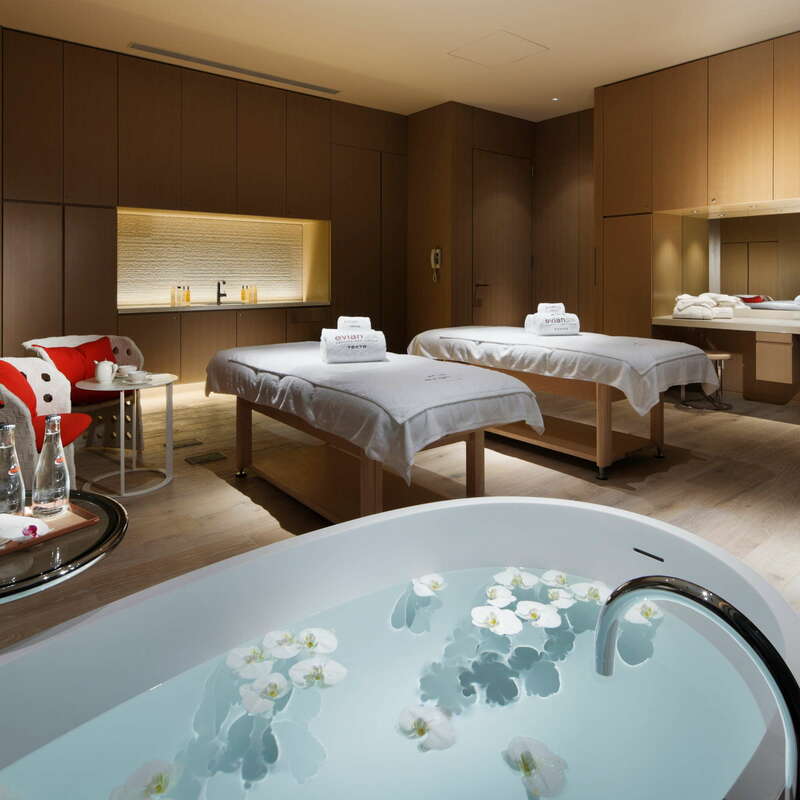 The award-winning Evian Spa has five treatment rooms, hot tubs, a luxurious marble sauna, and hot and cold plunge pools. 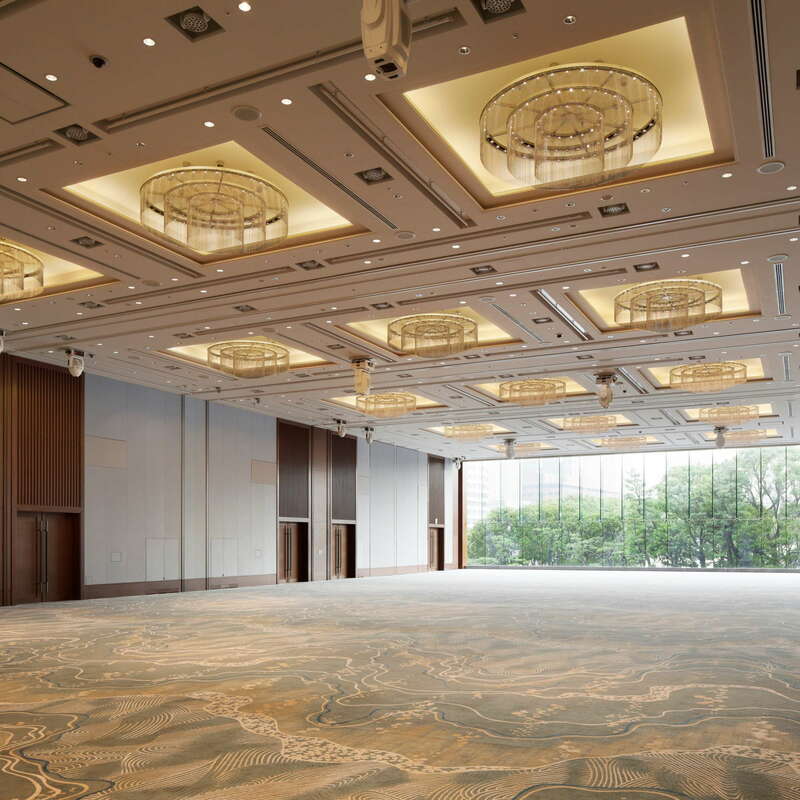 With floor-to-ceiling windows and TechnoGym fitness equipment, the hotel’s gym is a great place for a full workout. The facility is open 24/7 and if you forgot your gear, the hotel will let you borrow clothes and shoes for free. Want some fresh air with your exercise? 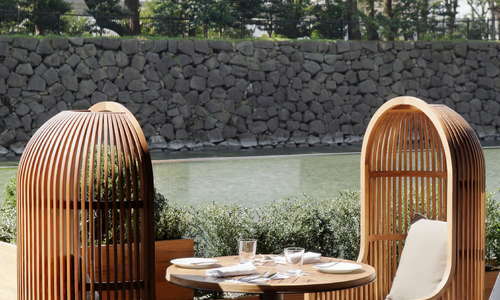 Check out the 3-mile running track through the Imperial Palace Gardens right outside. 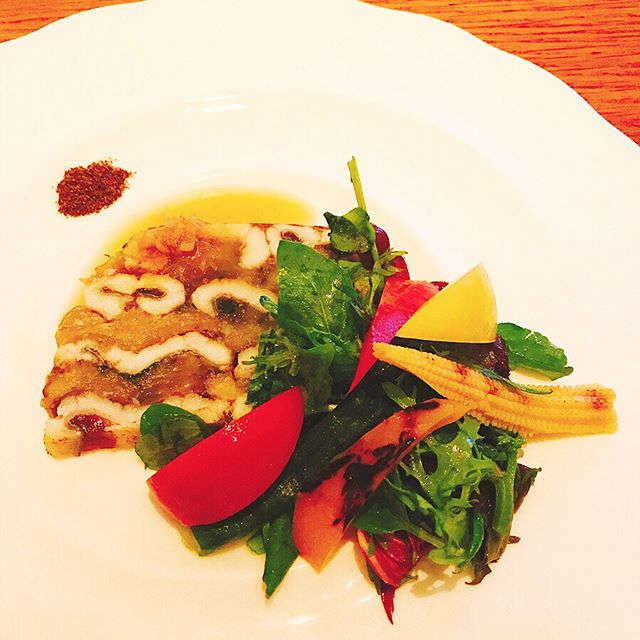 Dining inside the Palace is a treat as there are ample restaurants that rival the best of what Tokyo has to offer. 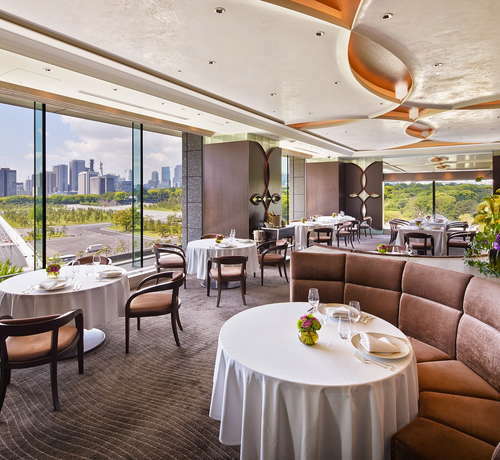 For fine dining French, you should check out Crown – which also offers the best views. 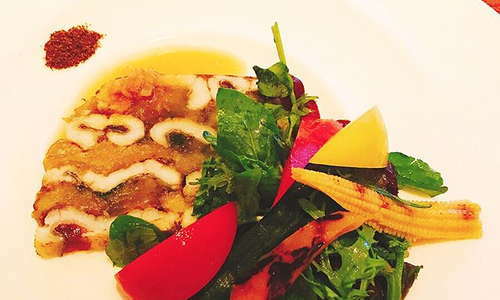 For Chinese food there’s Amber Palace, and for Japanese you should indulge at Wadakura. There's also a pastry shop and deli that serves a signature infused sake cake and has the feel of an Italian market. The Royal Bar is the main drinking destination at the Palace and is a dark and masculine bar known for its martinis. 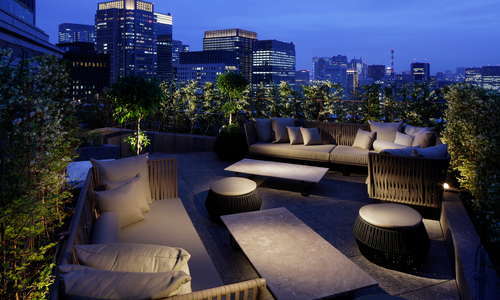 Lounge Bar Privé meanwhile, is a posh sip spot with an outdoor terrace and classic cocktails. The Palace Lounge in the heart of the hotel is known for its exquisite afternoon tea. 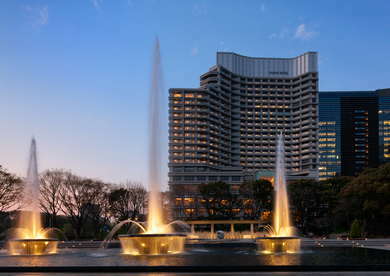 With a location right on Chiyoda Park and the Imperial Palace Gardens, this hotel is perfect for walkers and joggers alike who want to explore the historic grounds. 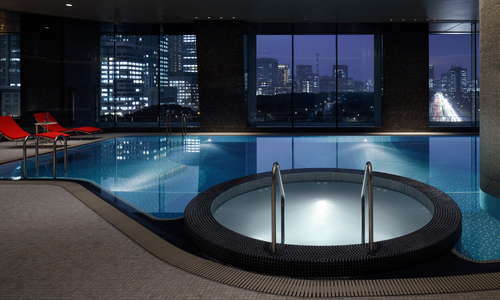 The hotel is also connected to a subway and is only a few minutes’ walk from Tokyo Station. You’ll find some of the best dining and shopping all in the immediate vicinity. 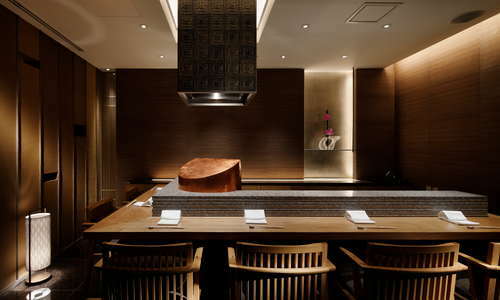 For out-of-this-work teppanyaki with wine and sake to match, check out the Shangri-La Hotel’s Nadaman (10-minute walk). 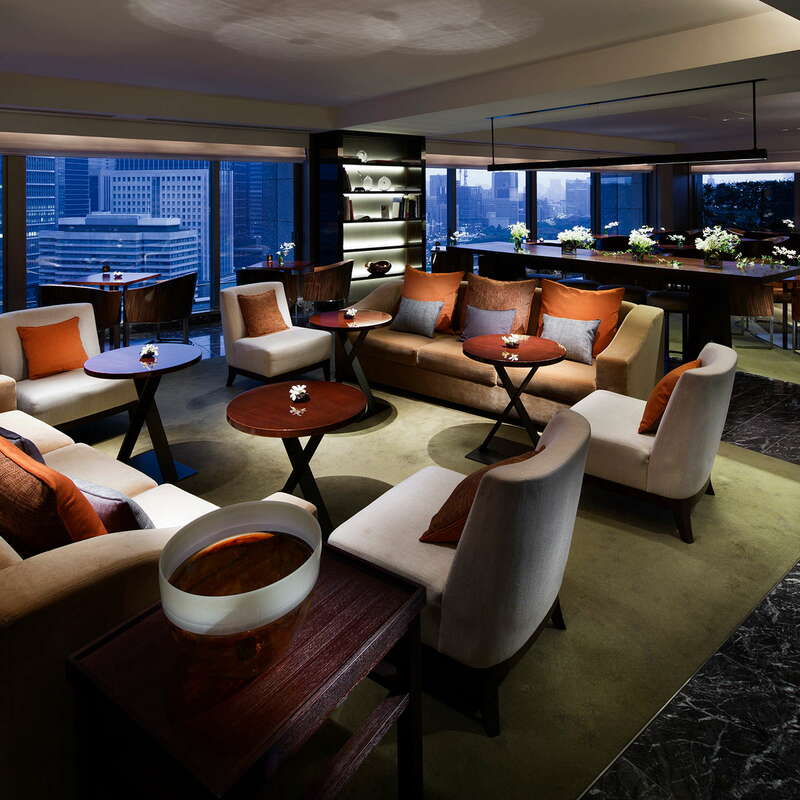 For Michelin-star dining, head up to the Mandarin Oriental and feast at Sense (15-minute walk) a Cantonese restaurant for the ages. 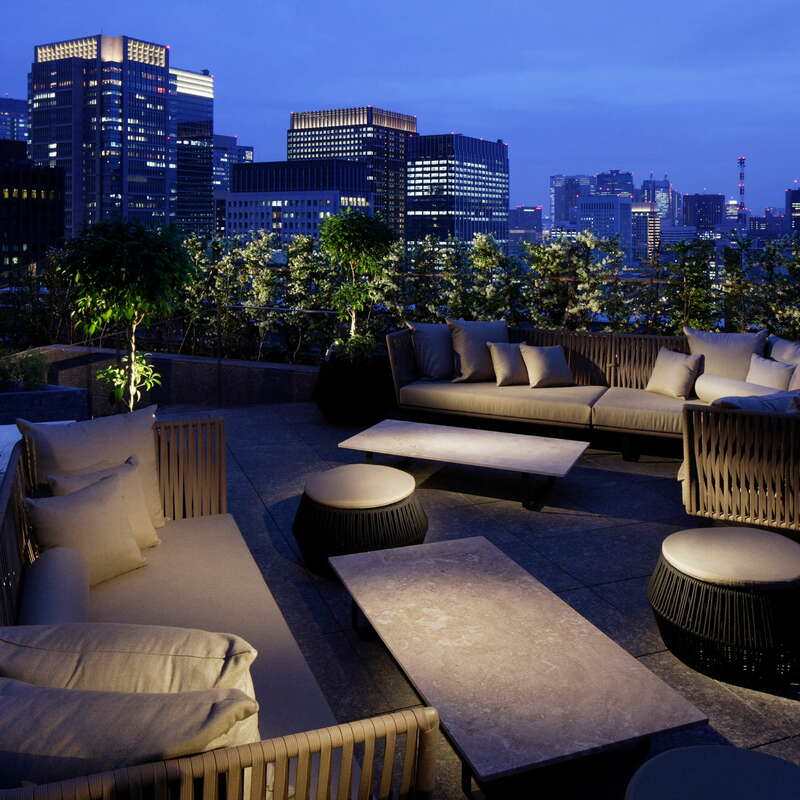 Whiskey lovers would do well to visit the Tokyo Station Hotel’s Oak Bar (5-minute walk) with an outstanding selection. 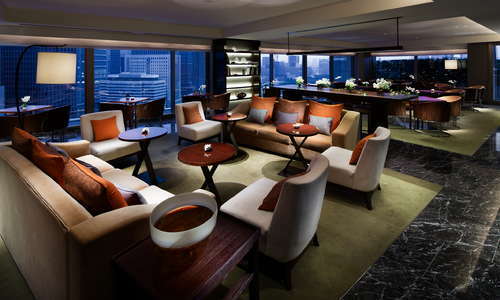 If you eat at the Mandarin Oriental, stay for the Mandarin Bar (15-minute walk) where you’ll get live jazz and craft cocktails. 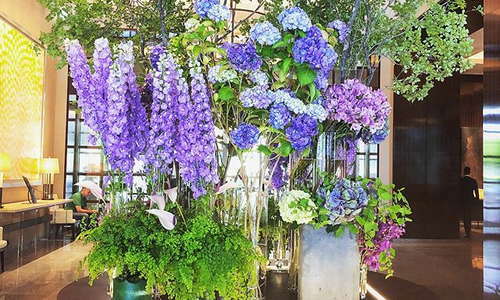 Elegant, classy, and romantic, this high-end hotel is at the top of every Tokyo list for a reason. Inside, the staff have a committed level of service and can fill any need you may have. 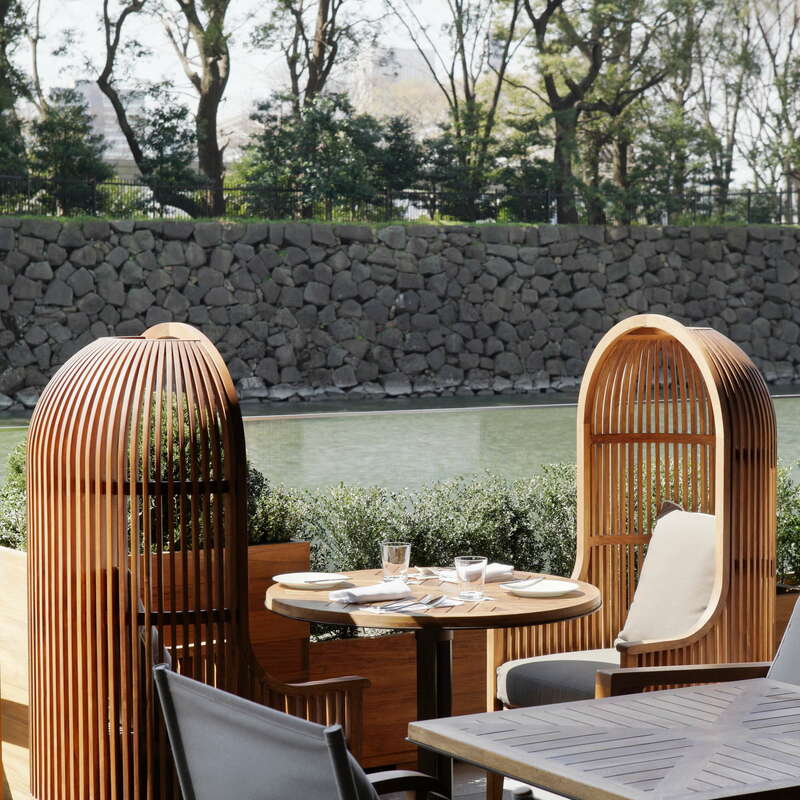 Rooms are spacious and most come with balconies that look over the Imperial Palace Gardens. There’s not a lot to find wrong with this place (unless you can’t afford it) and any stay here will make you feel like royalty – fitting for a palace.